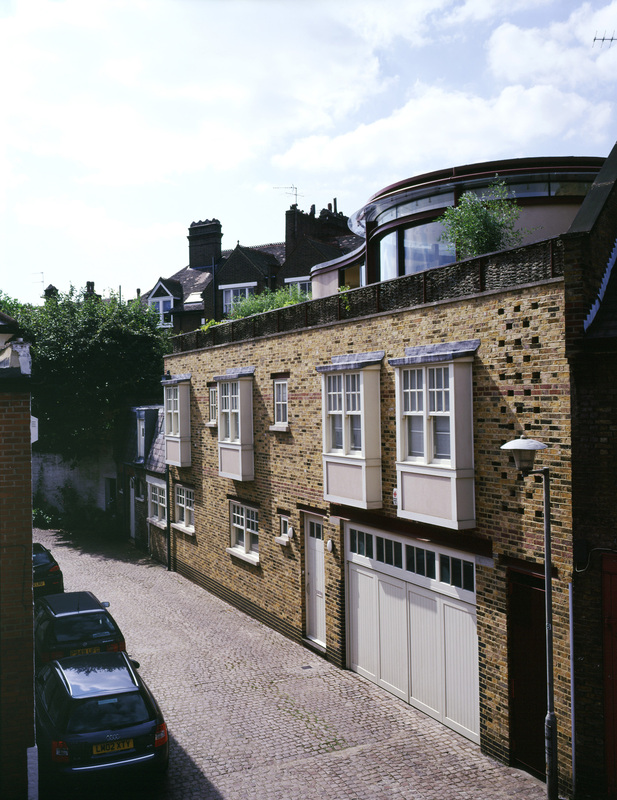 Project description – Design and construction of Modern Mews Dwelling on a undeveloped plot in Daleham Mews. 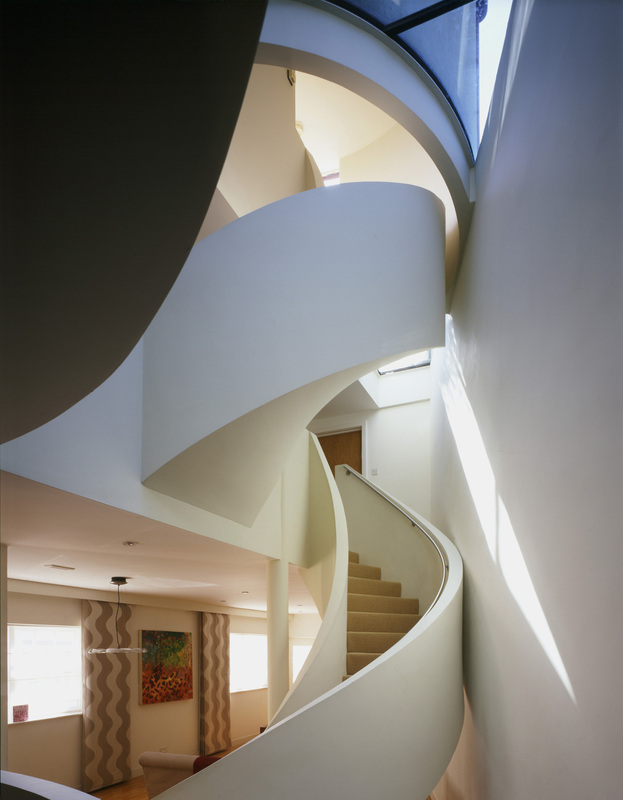 Consultant – Justin Bere is a Director of Bere Architects. 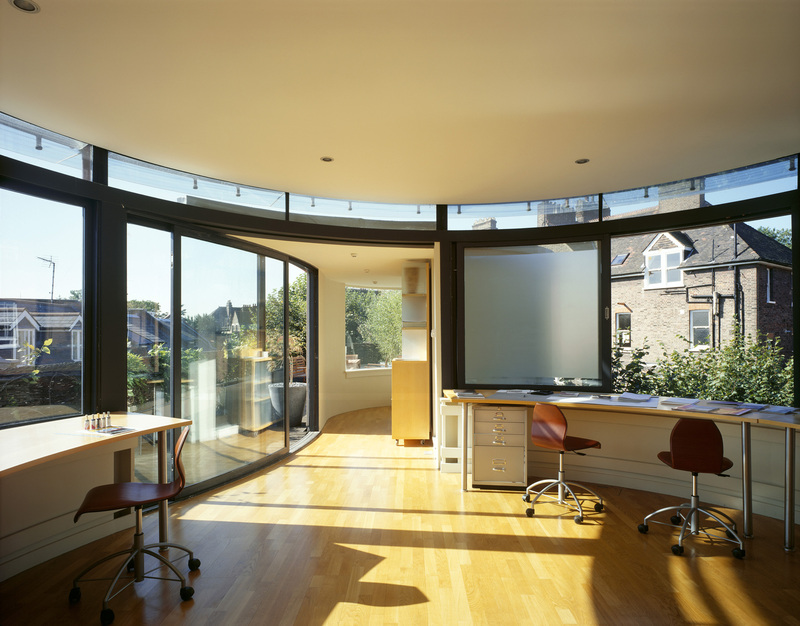 A firm who carry out Passivhaus work designed to provide sustainable, healthy, comfortable buildings that perform well and look beautiful. 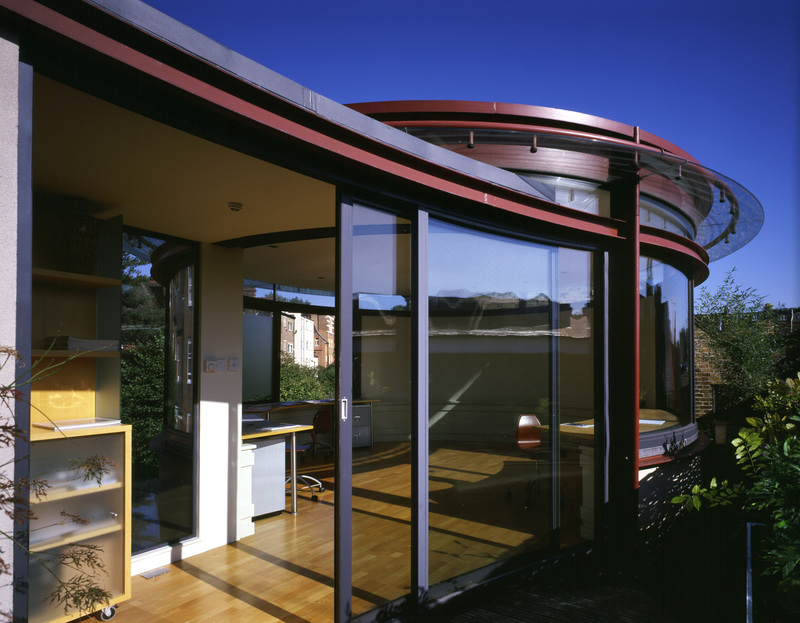 Justin is the author of ‘An introduction to Passive House’ published by the RIBA. 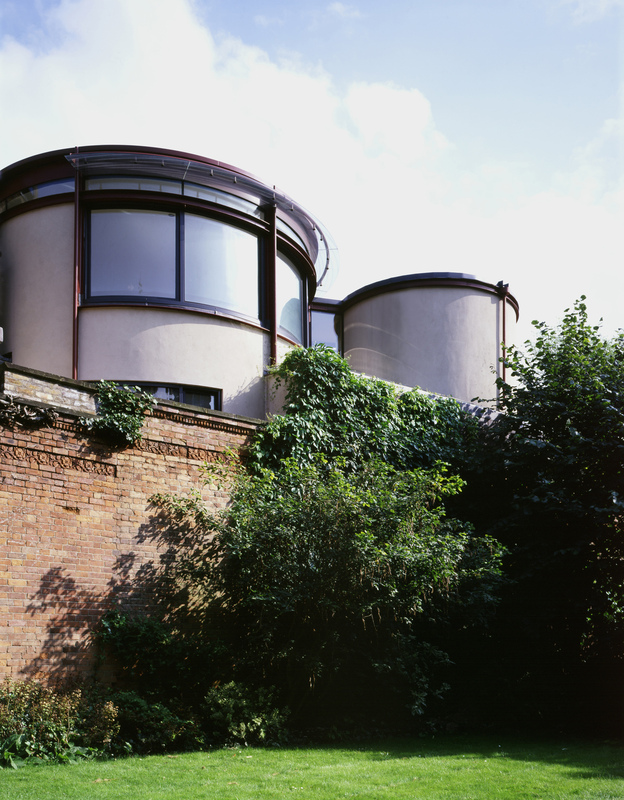 Design Inspirations – – Structural issues meant that the building, which was largely without Architectural Merit, had to be largely demolished and re-built.This was one of Justin Bere’s earliest projects, dating from 1996, and does not usethe Passivhaus techniques that his practice is now so well known for. Technological appraisal and Review – The original garages were in such poor condition that it was not practical to retain them. 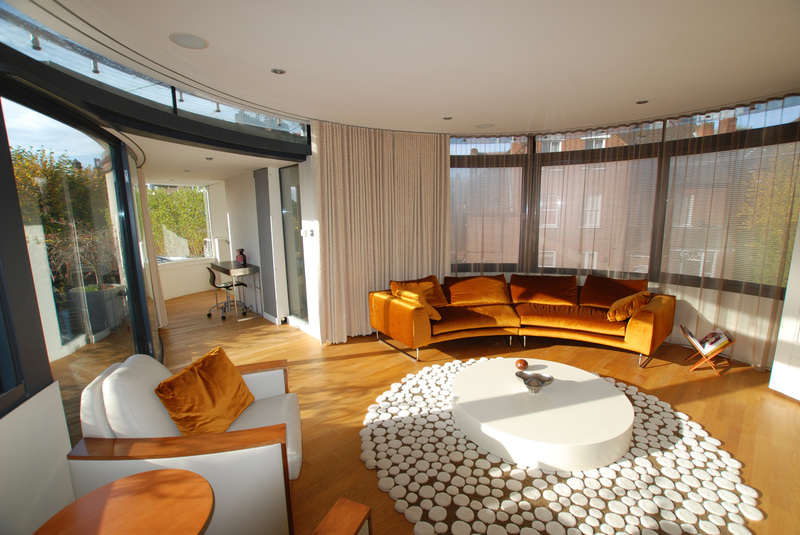 This was recognised by the planners and consequently support was received for a more radical approach to the Mews design. 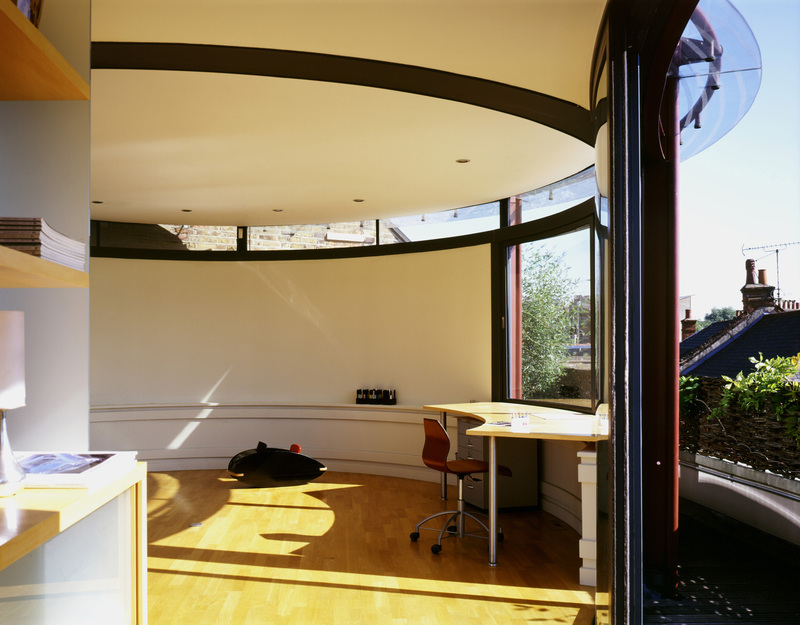 The planners required the replication of the original building in its ground and first floor facades, but the new top floor consists of circular elements which are evident in the exciting double-height spaces internally. 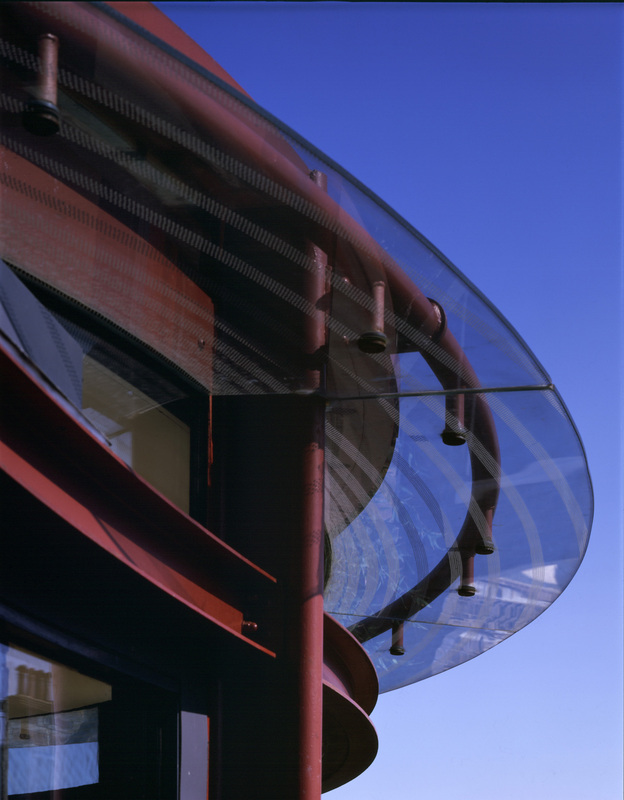 Its orientation allows it to receive light from all directions which encourages outdoor living.